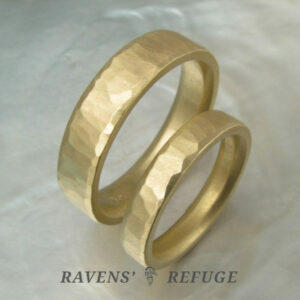 This lovely 18k gold wedding set is ready to ship. 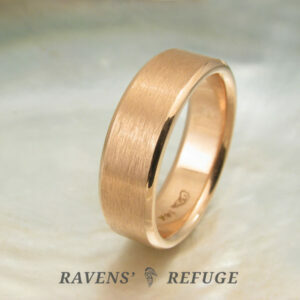 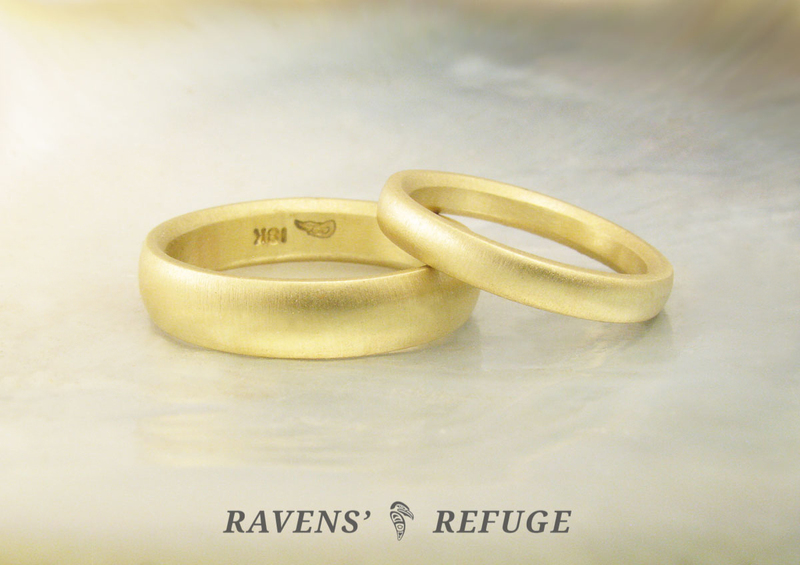 The two rings were hand forged from the same pool of molten 18k gold. 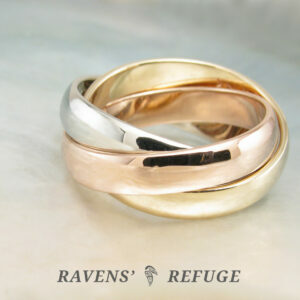 They can be returned for a full refund if returned within seven days of delivery and if the rings are in unworn condition. 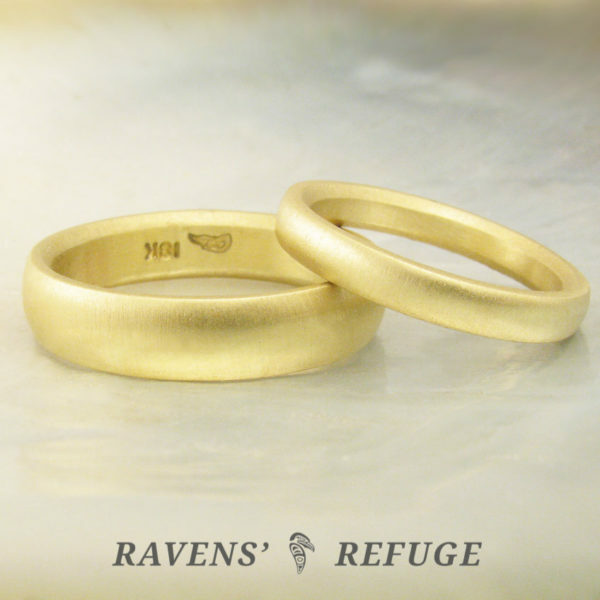 Resizing may be possible; however, these rings cannot be returned if they have been resized. 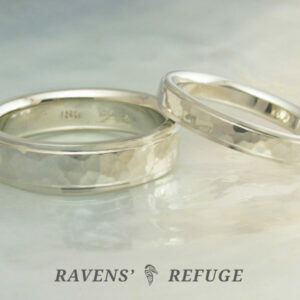 We would be delighted to work with you on a custom set. 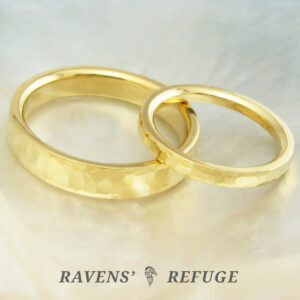 Please view our bands section and our sets section for a sampling of Dan’s prior work.